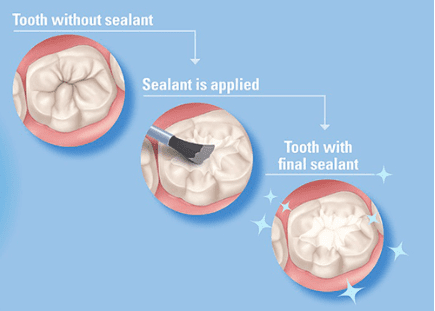 Dental Sealants are the best way to protect 1st and 2nd set of permanent molars in kids. We at friendly smiles dental care, recommend childrens molars to be sealed at the age of 6 and 12 when both come in. This will protect potential cavities as food get stuck in the crevices where brush bristles can't reach. These crevices get sealed by plastic material called sealants. Most insurances cover sealants upto the age of 12/13 yrs and pay 100 percent for this procedure so call us today to make appt for your kids back teeth to be protected from cavities in the future. This is a painless simple procedure that can prevent kids teeth in future. At Friendly Smiles Dental Care, we believe in building healthy relationships by providing you quality dental care in most comforting and caring environment. By visiting your Burke dentist for regular dental care, you will know about the condition of your oral health.